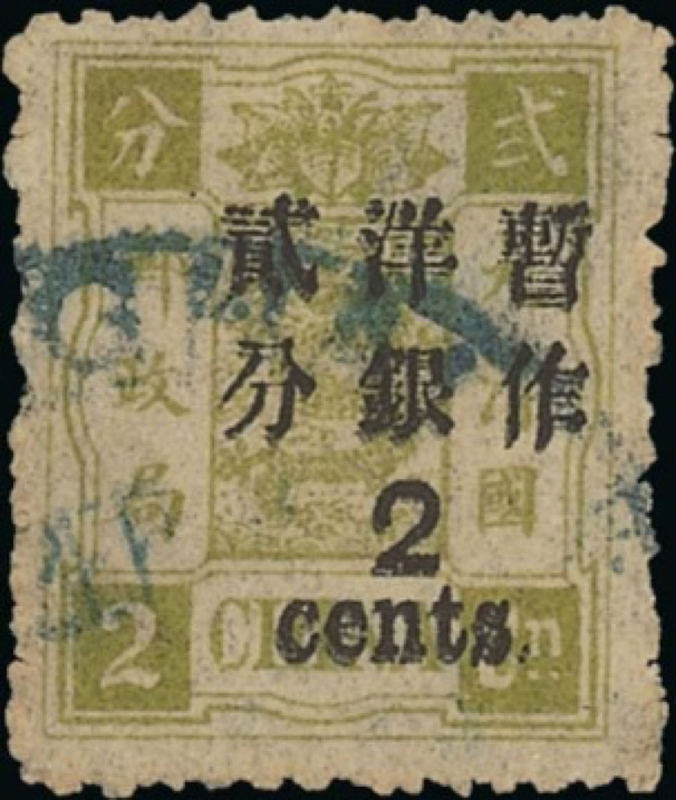 Auction house Spink has set a new world record price for a 'Dowager' stamp, with a 9 candareen stamp, with the variety 10c surcharge inverted, going under the hammer for HK$6,100,000 at their recent Hong Kong auction. The recent Spink auction of Lam Man Yin’s collection of Small Dragons, Dowagers and their Surcharges saw a new world record set for an item from these early issues of China. 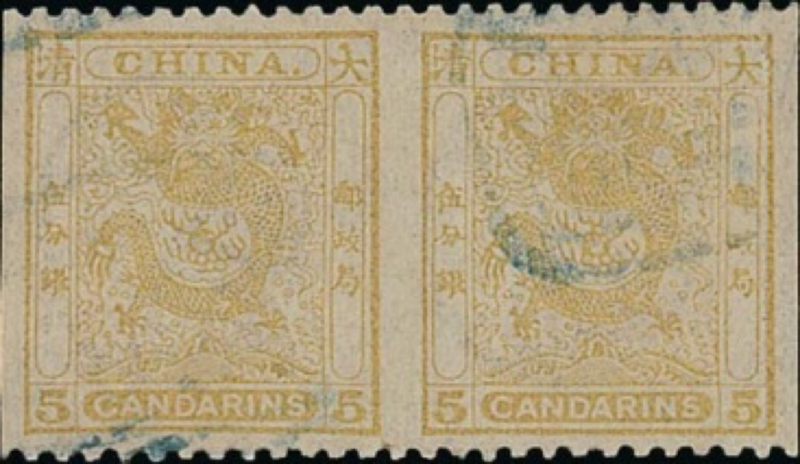 The 9 candareen stamp with the variety 10c surcharge inverted sold for a hammer price HK$6,100,000 (approximately £603,741) a world record for a Dowager stamp. When the new Post Office was established in 1897 the currency was changed from candareens to dollars and cents, so new stamps were required. Delays at the printers meant that the unused candareen stamps were surcharged with values in the new currency. 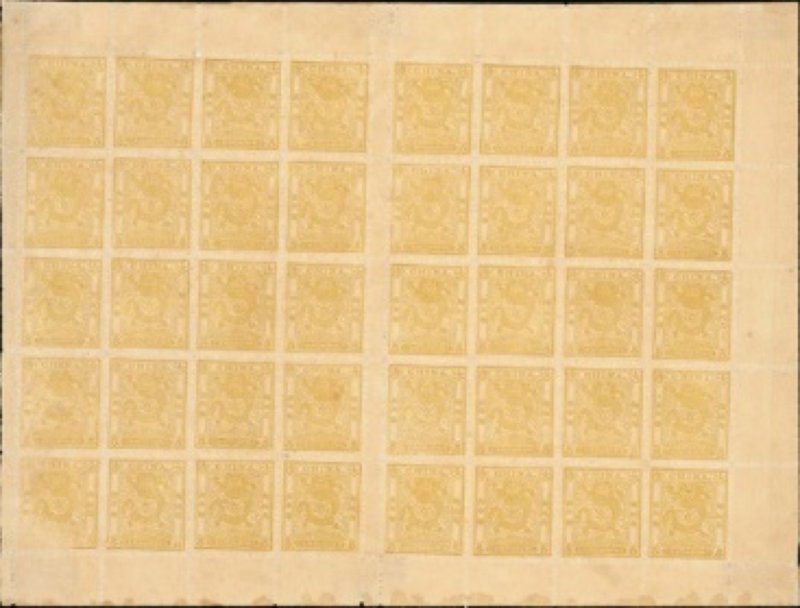 The original sheets of the 9 candareen were formed of 25 stamps but each sheet was made with one corner stamp printed upside down. Before these sheets were given their new surcharge, the left column of stamps, with the offending invert, was removed. All available stamps were used, including any returned from country post offices. However, a few of these sheets did not have the unwanted stamps removed and were applied with the 10c surcharge which was being used on the sheets of twelve candareen stamps. 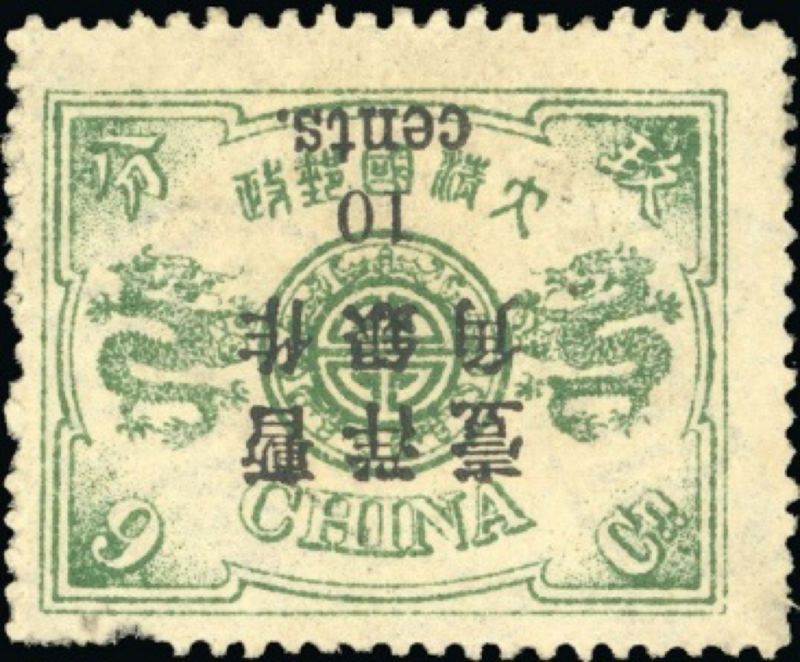 The corner stamp, with the surcharge printed upside down, became this rare variety. 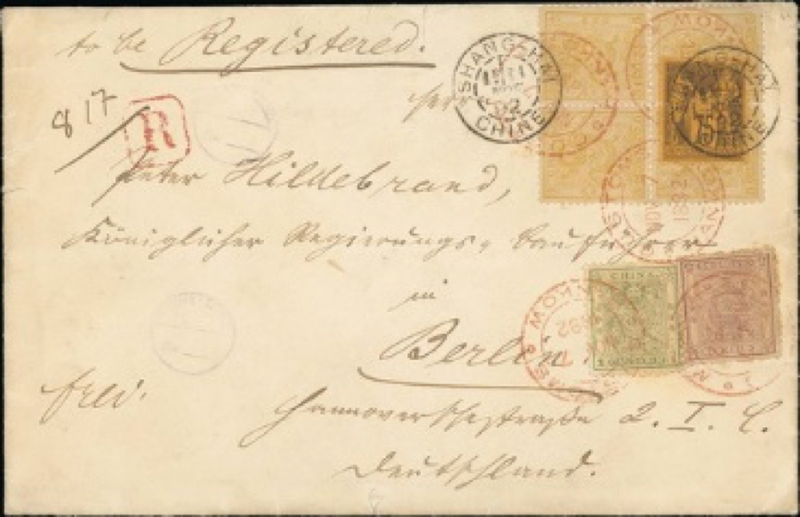 Only three stamps have been verified, and the stamp sold at auction by Spink is thought to be the only unused example. The stamp was previously in the collection formed by Sir Percival David which was sold in London in 1970. The only example of 2c on 2 candareen with the error surcharge double, sold for HK$240,000 (£23,753). See the latest auction realisations in every issue of Stamp Collector magazine, available as a print or digital edition.